Just Mobile is known for making accessories built from high quality materials, like aluminum, that nicely match the designs of Apple’s recent hardware products. However, some of their products seemed to have focused on function over form, rather than a mix of both. 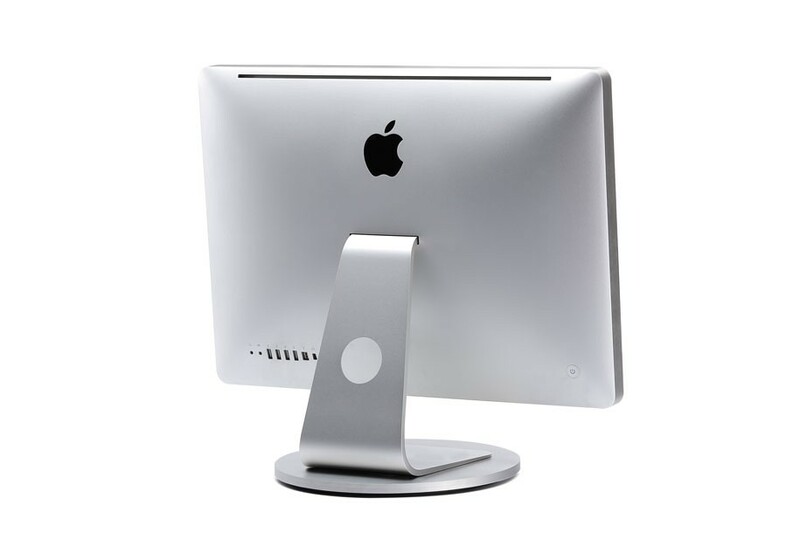 However, over the past few weeks, I have been using their AluDisc accessory for the Apple Thunderbolt Display, LED Cinema Display, and iMac, and I have found the accessory to be a nice, helpful addition to any workspace with those large Apple screens. The AluDisc is a high-quality, seemingly well-built pedestal that allows you to easily and quickly rotate your display. During my daily workflow, I need to consistently pull USB and Thunderbolt cables out and in of the back of my Thunderbolt Display. Usually, to accomplish this task, I need to manually rotate my display. This is not a truly complex task, but the AluDisc actually makes this process extremely quick and easy. The disc can spins 360 degrees, making it simple to rotate my display. Another plus for the AluDisc is the ability to instantly rotate your display to angles for on-lookers. Sometimes, I need to use my display to watch a video or work on a document with multiple people. Being able to rotate the display in a snap makes these processes simpler than ever. Other than these two aforementioned uses, I did not find much other use for the product, but this new convenience, in my opinion, makes the AluDisc a great add-on for applicable larger monitor users. The AluDisc’s industrial design, weight, and size is designed to mold nicely with Apple’s Displays and iMac, but it seems likely that some other displays could mesh nicely with the accessory. The AluDisc comes in at $69.95, but it is currently selling for 10% off via Amazon. We also had the opportunity to test Just Mobile’s AluCup. 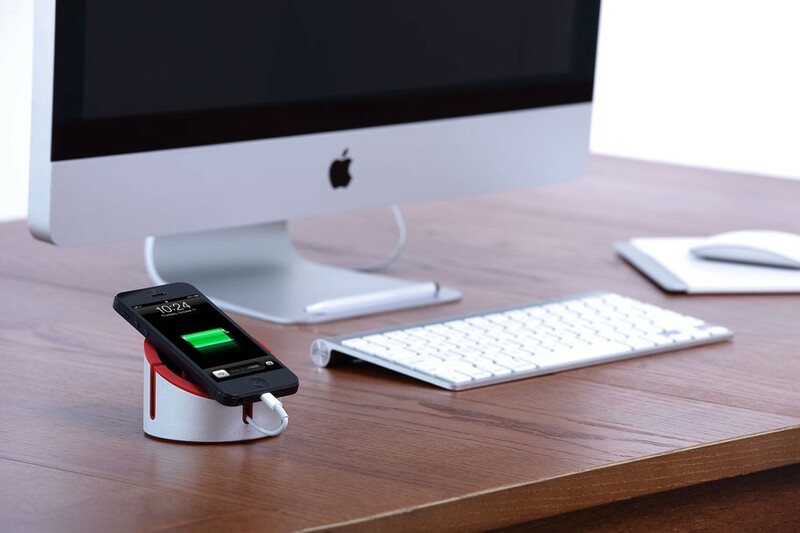 The accessory has a well-built design to hold an iPhone and to prop up an iPad. However, I, personally, did not find much function for this product. It comes in multiple colors for $29.95 each. It is available for a slightly discounted rate at Amazon.